A Wonderful Gift for Anyone, Anytime! Create an original blend! 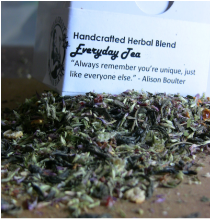 Choose the herbs for your blend and then a suitable name. Whether as a gift for a special someone or a unique blend for you, you will receive 2 boxes with one ounce of your blend in each. We will always keep your blend on file for future cravings! Another antioxidant powerhouse full of minty -chocolaty- healthy joy for your cells! Earthy with a note of spicy sweetness This is a solid morning coffee substitute with vitamin-packed, natural-energy producing herbs. 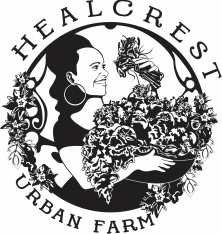 Sarsaparilla, ginger, burdock & licorice root, ephedra leaf, oatstraw with Healcrest UFarm-grown comfrey, blackberry, rose hips and finishing notes of orange peels. Decaffeinated, 2oz. loose-leaf tea. Grown, harvested and hand-packed in Pgh, PA! Burst of floral with touches of warm vanilla bean, ginger & citrus. 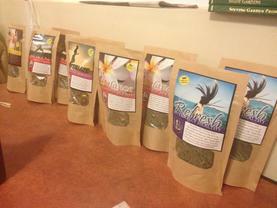 Nutritious tea that is perfect for everyone in the family. The com﻿bination of iron-rich nettles, anti-oxidant-rich raspberry & blackberry leaves, calcium and magnesium rich oatstraw soothes nerves naturally and the tonifying support of calendula and borage create a combination to support health and have a tasty daily tea. Decaffeinated, 2o.z loose-leaf tea. Grown, harvested and hand-packed in Pgh, PA! 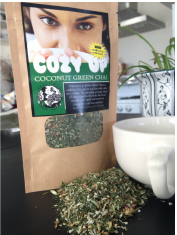 This is a caffeine-free, herbal chai with the subtle smooth flavor of coconut. Warm,rich, spicy and nutritious, it is a great morning or after dinner tea. 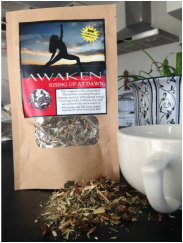 This original chai starts with the gentle nutritious herbs of nettles, oatstraw & red clover and water-processed decaffeinated sencha then blended with small-batch dried ginger root, cinnamon bark, clove buds, cardamom and black pepper & organic coconut flakes. A subtle spice with a creamy afternote. You can relax with this tea. 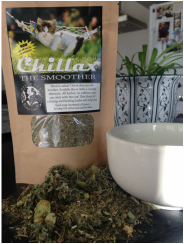 All herbal, no caffeine- this smooth blend of calming and healing herbs will help you find your moment of peace. 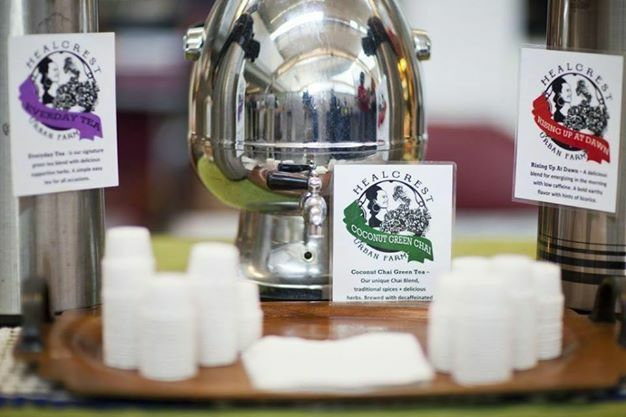 Healcrest-grown meadowsweet, borage, mugwort, cat-mint, chamomile with organic hops and marshmallow root. Experience smooth soothing of mild pain & tension! 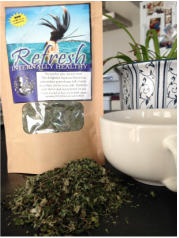 Mild herbaceous tea with a hint of warm apply sweetness. 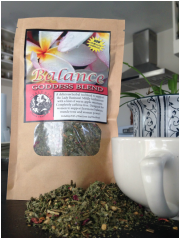 Sage, Borage, Red Raspberry, Motherwort & Stevia Leaf & Stem, Dried Apple, Ginger Root. Tonifying, stamina-building and gets your juices flowing! Great for women, good for all! Bright, citrusy and refreshing hot or cold. Get your antioxidant support with a dose of decaf green, cellular support with red clover, a touch of internal warmth with dried ginger root, calendula officinalis and chamomile, a pinch of vitamin c with rose hips and lemon zest. 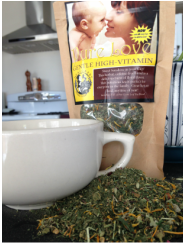 This refreshing tea can be consumed daily as a morning tonic or an evening refresher.